Shaun Saunders is the President of Godzchild Publications. 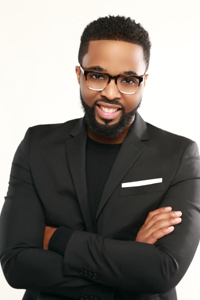 A preacher, professor, and playwright, Shaun is the author of 6 books and holds degrees from Seton Hall University, Duke University, and Princeton Theological Seminary. Shaun and Ana are the proud parents of one beautiful little girl, Zinai Esther, and Shaun enjoys living, loving, and leading like Jesus at Kingdom Church (NJ) under the dynamic leadership of Dr. Dharius Daniels.